Here at Doug’s Construction and Repair services we are all about professional heating, ventilation and air conditioning, commonly referred to as HVAC, for your home. For residents of Sugar City and Eastern Idaho, we are your premier heating and air conditioning repair contractor because we watch out for your best interests. To begin with, we offer quick consultations typically within one to two days. Very often, this is how we provide both a quick fix and the best ways to save money. Our EPA certified technicians are skilled at troubleshooting the problems associated with indoor air quality and air movement from room to room. We start by identifying any issues and making the best possible recommendations geared toward getting your system functioning efficiently. Regarding air conditioning Sugar City residents are counting on, Doug’s Construction and Repair evaluates the performance of existing systems and works to keep the interior cool and comfortable. Regarding furnace services Sugar City residents rely on, we ensure the home is heated efficiently and warm air remains inside. There are a number of issues that explain these or other scenarios with respect to system efficiency. We examine the interior airflow and determine if the capacity of your system is enough or perhaps too much for the size of the home and the number of occupants. You would be surprised how often the existing system is not correctly sized for the home. The average heating or air conditioning repair is over $1000. Many homeowners opt to purchase a newer more efficient (energy saving) unit than take the repair risk on a very old unit. We'll let you know your options. An improperly sized furnace or air conditioner will fail faster and do a poorer job. We take the time to measure ducting and your home to get it right the first time. We can also provide units for as low as $35 a month but we make sure it is the right unit for your needs. If you don't like cold spots in your air consider an energy efficient modulating furnace (most common in older homes). A quick consultation could reveal a quick fix and save you money. Another advantage to calling Doug’s Construction and Repair is that we work hard to stay within your budget. We offer bid matching for any bid in the same class of furnace. We also offer affordable financing with a simple application and same day funding. We can provide air conditioner and furnace installation for as low as $35 per month. On top of all that, we provide you with up to a 10-year warranty on parts and service. We work with on any modulating furnaces (more energy efficient), single and 2 stage systems. 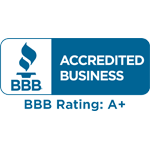 Whether it is for air conditioning or furnace repair, call on our EPA certified technicians at Doug’s Construction and Repair to keep you comfortable in your home. We do everything we can to ensure your system operates efficiently and affordably. Contact us today for all your heating and cooling needs.